Having been granted an entry to Formula 1, Gene Haas has spoken about the challenge his team faces in the next few months to get ready for F1. The team, which will be known as Haas Formula, have revealed they have yet to decide whether which the team’s participation will begin in either 2015 or 2016. “The FIA has basically told us we have to elect which year we want to participate in, and I think there is a timetable sometime around June to do that,” said Haas in his first press conference since his entry was confirmed. “I think 2015 is too close, and I think 2016 is too far, so that’s kind of where I see it. I’d like to do 2015, simply because I think the first year’s going to be a difficult year no matter what happens. “It’s a very big challenge, part of that learning curve is just simply getting to the track and sorting out the logistics of going from race to race. The sooner we learn that, the sooner we’ll be done with that. There is going to be a long learning curve, and to sit there and say we can understand what’s going on with these cars in a year or two is not reasonable. It’s going to take us a while to learn, and we’ll lean heavily on a technical partner to help us. Haas spoke about the engine and chassis options his team has for its first foray into F1. He acknowledges the choice of engine is limited, with Ferrari, Renault and Mercedes the choices, while the choice for chassis is even less, but he has had talks with Dallara who have a rich history in motorsport. “I think as everybody knows, there are currently three engine suppliers for Formula 1, Renault, Mercedes and Ferrari, so we have to narrow down the partner that we’re going to work with,” stated Haas. “And that’s a very important part of it is figuring out who can provide us with the technical expertise that we’re going to need. “Obviously there are really only two engine suppliers available at the moment, Mercedes and Ferrari. The other chassis supplier would be Dallara who is obviously experienced in building IRL cars. We’re not looking to start our own shop immediately. We need to have people that have people on the ground, actually making carbon fibre parts and making tubs and so on and so forth. “So we’ve had some preliminary talks with Dallara, and they’re ready to go. They have a complete facility. They have experience. They know what they’re doing. They’ve been involved in racing forever as far as I know. We’ll have to beg, borrow or steal whatever we can to arrive at that first race so we can compete. “We have a budget. There are a lot of unknowns in it. But we have budgets for what the engine packages will cost and those numbers are well known. We’re going to lean as heavily as we can on partners. Our job is not to reinvent the wheel. Our job is to race cars and win races. So the reinventing technology maybe that somebody else has that we can purchase is probably more of what our strategy will be. Asked about the drivers he would like to employ, Haas mentioned no names, but had an idea of what type of drivers he would like, with at least one having experience with the current turbo-charged engines. 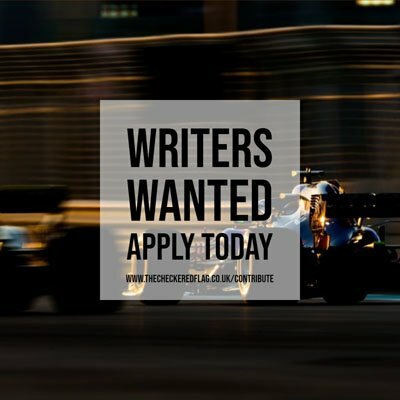 “Ideally, what I think we’d like would be to have an experienced Formula 1 driver; probably someone who is familiar with the current engine package rules. They change quite a bit even from last year. Then going forward we’d certainly like to have a young American driver. That would be the ideal situation. But at the moment we haven’t really narrowed it down. When asked about the role of Formula 1 in the United States, Haas commented that F1 teams and personnel are interested in succeeding in America and adding an American team to the series can only be a good thing. “I think Formula 1 is very interested in the U.S., because the U.S. is the biggest economy in the world, and they don’t have much of a presence here. That’s why it’s going to be successful because if we don’t fail, then we’ve done something that other people haven’t. That will definitely help sell Formula 1 in the U.S.
“We won’t help Formula 1 if we fail, that’s for sure. So if we succeed and we’re good at it, I think we’ll bring a lot of new fans to the Formula 1 base, and racing is changing. We know that NASCAR is looking for new fans all the time. I think obviously we have the Indy 500, one of the greatest races in the world.